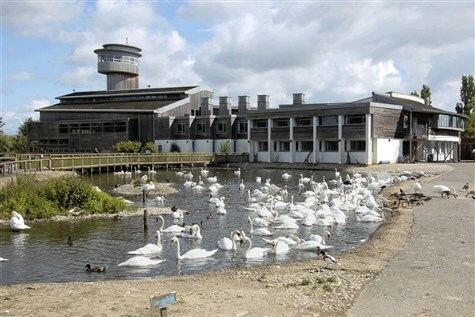 WWT Slimbridge has exotic birds from around the world including the UKs largest flock of flamingos and the worlds largest collection of swans, geese and ducks. The internationally renowned reserve shows visitors an astounding array of wildlife, from water voles to waders, hares and dragonflies. Facilities include a tropical house, a wetland mammal exhibit, a discovery centre, outdoor play centre, shop, restaurant and a canoe safari.